Make a statement! 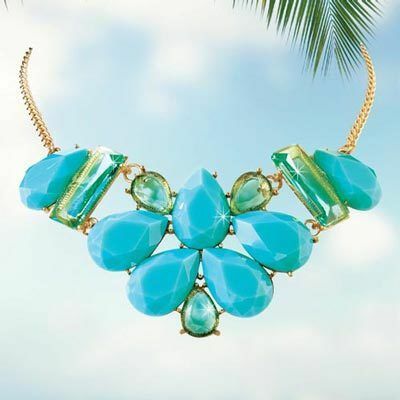 This dramatic design features faceted teardrops of teal and green acrylic on a gold-tone chain. 16"l with 3" extender. Hurry! Quantities are limited!